Dunkin’ Donuts, America’s all-day, everyday stop for coffee and baked goods, and Baskin-Robbins, the world’s largest chain of ice cream specialty shops, are bringing Orange County’s first Dunkin’ Donuts and Baskin-Robbins multi-brand drive-thru restaurant to Foothill Ranch on October 4. The establishment, located at 26722 Portola Parkway, will open at 5 a.m. and offer a full array of both Dunkin’ Donuts’ freshly brewed coffee and delicious baked goods, and Baskin-Robbins’ premium ice cream and frozen treats. The days surrounding the milestone opening will be full of special festivities and giveaways. The first person in both the drive-thru and walk-in line on October 4 will earn a $250 gift card, and the first 200 people in both the lobby and drive-thru will receive a free Dunkin’ Donuts tumbler or a Baskin-Robbins campfire mug. Throughout the day, customers can collect a branded keychain by signing up for DD Perks®, Dunkin’ Donuts’ guest rewards program. Additionally, attendees will have opportunities to take photos with Dunkin’ Donuts brand mascot, Cuppy, in a photo booth onOctober 8. Furthermore, the local women’s roller derby team will be passing out delicious beverages as well as Baskin-Robbins ice cream cakes for guests in line on October 4 and 8. To continue the celebration throughout opening week, Dunkin’ fans will receive a free medium hot or iced coffee offer with the purchase of a dozen donuts at this new location from October 4 to 11. The Foothill Ranch location will be operated by Precision Hospitality & Development. Precision Hospitality & Development became a franchisee in 2014 and has since opened Orange County’s first Dunkin’ Donuts restaurant located in Laguna Hills, as well as a location in Irvine. The group has plans to develop several additional Dunkin’ Donuts locations in both South Orange County and North Los Angeles in the coming years. Dunkin’ Donuts will mark the occasion with a ceremonial ribbon cutting at 10 a.m., which will be attended by Lake Forest dignitaries. In an effort to contribute to the surrounding area and enjoy the day with community members, the franchisees will also donate $1,000 to the Boys and Girls Club of Lake Forest during a check presentation on grand opening day. The donation will further the organization’s efforts to support children’s activities in Lake Forest. To learn more about Dunkin’ Donuts, visit www.DunkinDonuts.com or follow us on Facebook (www.facebook.com/DunkinDonuts) and Twitter (www.twitter.com/DunkinSoCal) for real time updates. 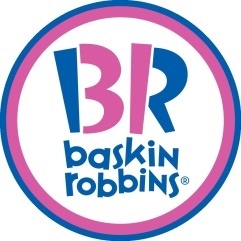 To learn more about Baskin-Robbins, visit www.BaskinRobbins.com or follow us on Facebook (www.facebook.com/BaskinRobbins) and Twitter (www.twitter.com/BaskinRobbins). For media inquiries, contact dunkindonuts@havasformula.com. Self Disclosure: This is a sponsored post and some form of compensation has been received to post.